I just wanted to express how much I love all the quotes from John Green’s books! And since I’m moving to a new house this month, I wanted to hang one of them somewhere on my walls. 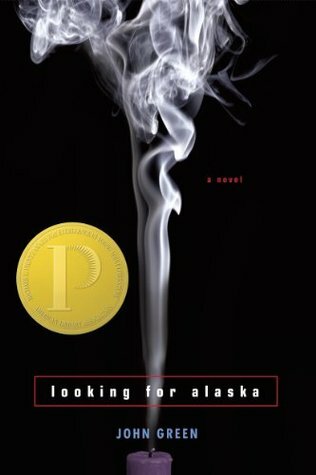 The problem was that my favorite one from Looking for Alaska was impossible to find as a picture on the internet, so… I CREATED ONE! There have been hundreds of reviews written about this book, so I’m just going to keep this one short. There are also hundreads of quotes in this book. The one above is just one of the many good ones I had to choose from. The first thing I loved about this book was Pudge’s sense of humor and his character in general. I was practically laughing out loud with how sarcastic and cynical he was being towards pretty much everything. Then, when “The Colonel” (Pudge’s roommate) and Alaska make their appearence, the humor in the book becomes even better. 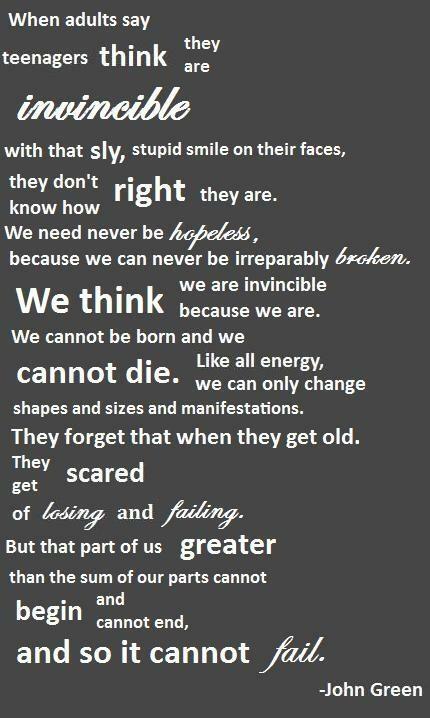 John Green’s writting style is, in my opinion, extraordinary. He manages to write stories with a deep meaning to them, but giving them in a way that is easy and fun to read. I also think his books apply to a very wide audience, from young adult to adult readers. In this case, I also liked the “before-after” style in which the book was written. It was leading to an important part of the book, that you knew was coming, but didn’t know exactly what it was going to be. Generally, I liked the “before” part of the book more than the “after”. The ending though was also very good, so it just had a low curve in the middle. Other than that, there isn’t anything negative I can say about this book. An extraordinary young adult, contemporary standalone! The week before I left my family and Florida and the rest of my minor life to go to boarding school in Alabama, my mother insisted on throwing me a give-away party.